Francis Fuller was a land Surveyor and Estate Agent with a long association with railways being surveyor to the London Brighton & South Coast Railway for 25 years for some time also surveyor to the Metropolitan District Railway. 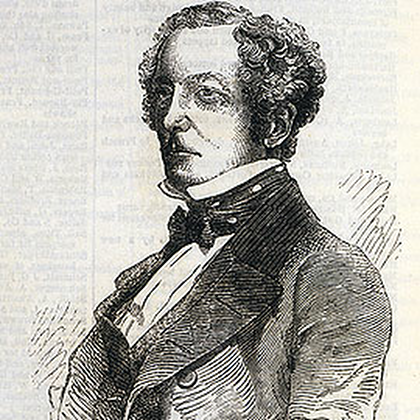 He was one of three promoters of the Great Exhibition of 1851. Held in London, at the newly constructed Crystal Palace which in itself showcased British inventiveness and design. His great contribution to the development of Hayling Island was his vision for tourism and his skill and determination to ensure the purpose and route of the branch line were changed to ensure the Langstone to Hayling Island section was completed. He carried this work out at his own risk and without the aid of an Act of Parliament. He applied to recover his costs from the Hayling Railway Company, on completion of the branch line. The death is announced of Mr. Francis Fuller, the last survivor of the three promoters of the Great Exhibition of 1851, his associates being Sir Henry Cole and Mr. Scott Russell. Mr. Fuller was born at Coulsdon, in Surrey, about ten miles from Epsom, and the interesting fact is stated that he saw the race for the Derby run every year from 1821 to 1884 inclusive—a fact which is doubtless unparalleled in turf history. He was for 25 years surveyor to the London Brighton and South Coast Railway, and for some time also acted as surveyor to the Metropolitan District Railway. He was associated with many successful railway schemes, and constructed the branch line from Caterham Junction to Caterham entirely at his own cost, and without the aid of an Act of Parliament. This line was subsequently sold to the South-Eastern Railway Company. While a prominent member of the Society of Arts he conceived, in conjunction with Mr. Scott Russell, the scheme for the Great Exhibition. For his services in connection therewith, Mr. Fuller was offered, but declined, the honour of knighthood. He afterwards took a prominent part in the formation of the Crystal Palace Company.